Research conducted by the Urban Development Institute of Australia says purchaser power is at its lowest point in 10 years. In response to this Melbourne developer SMA Projects is looking at making home ownership a reality for first home buyers, by negotiating longer settlements (of up to nine months) and allowing residents to move in and pay a monthly nominal fee which is credited against the eventual settlement. 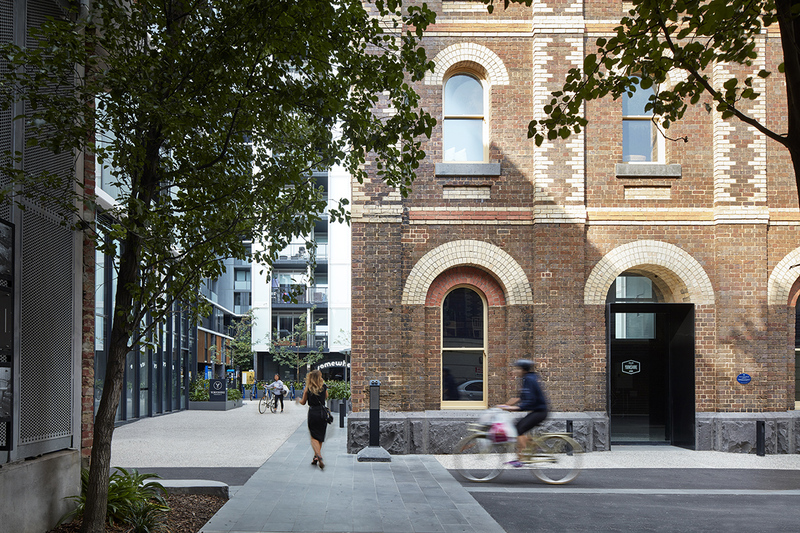 The first project to offer these incentives to purchasers is SMA's Yorkshire Brewery project.Located at 1-21 Robert Street Collingwood, the Yorkshire Brewery provides contemporary inner-city living through the redevelopment and adaptive re-use of the former heritage-listed site into 356 luxury apartments and townhouses, designed by Hayball. According to SMA Projects, many first home buyers are seeking to purchase a home within close proximity to Melbourne’s CBD - particularly the inner-north - capitalising on the cafe culture, accessibility, hospitality offerings, amenities and lifestyle associated with inner-city living. “The creative and amenity-rich offering of Melbourne’s inner-north makes this area a haven for residents. Recently voted as one of Melbourne’s healthiest suburbs to live in and one of the easiest suburbs to actively commute from, you can see why a suburb like Collingwood is in demand. In offering purchasing opportunities to buyers who are seeking this eclectic lifestyle ensures we can strengthen the character and built environment of these suburbs. Taking into consideration the rising house prices in Collingwood, SMA Projects has sought to actively collaborate with buyers to help them enter the property market at a stage where timing or their financial situation was considered a barrier. The initiative has been well received by first home buyers who have responded positively to the flexibility and accountability that SMA Projects as an established developer has been able to offer. Where first home buyers have been traditionally priced out of these inner-city suburbs, SMA Projects is proud to help realise their dream of home ownership sooner than they may have otherwise anticipated. SMA Projects takes a holistic approach to its developments to cater to purchasers at different stages of their lives. SMA Projects is committed to working closely with our purchasers to reach a mutually beneficial agreement that ensures both parties achieve the best outcome. Acknowledging the current demands of first home buyers while also considering the future needs of young families, downsizers and the elderly will ultimately create a more sustainable development that will enrich Fitzroy and contribute to its vibrant community." SMA Projects is offering a series of initiatives targeted towards first home buyers at Fitzroy Ltd.
Due to the positive response to the first home buyer initiatives at Yorkshire Brewery, SMA Projects will be looking to employ a similar strategy at its Fitzroy Ltd. development. Located at 250 Gore Street, the seven-storey development has been designed by Hayball to sit comfortably within the streetscape, drawing on the industrial history and vernacular of the area. SMA Projects says purchasers at Fitzroy Ltd are able to negotiate flexibility in the payment of their deposit whilst construction is occurring, with the developer hoping the initiative helps alleviate the significant upfront financial outlay that traditionally comes with settlement. Demolition of current structures at the Fitzory Ltd site is expected to commence next month, with construction slated for early 2019 and an anticipated completion date of December 2020. Fitzroy Ltd marks SMA Projects’ third project on Gore Street including the currently under construction The Lyric and the completed Veludo.